Protecting Your Home While You Are Away. What you should know. This time of year we find ourselves thinking of vacations and planning away but are you planning for your home as well? You should be! Protecting your home while your away on vacation or any extended period of time is easy and takes very little time with proper planning. Here is a small checklist to help make this easier for you! 1. Contact neighbors to pickup mail or papers for you while you are gone. 3. Install some timers on your lamps and set them to come on at different times during the day to give the appearance that someone is home. 5. Inspect that all windows are closed and locked! 6. Notify trusted neighbors of how long you will be gone and they can help keep an eye on your home as well. The Lake Levels Are High and The Prices Are Low! 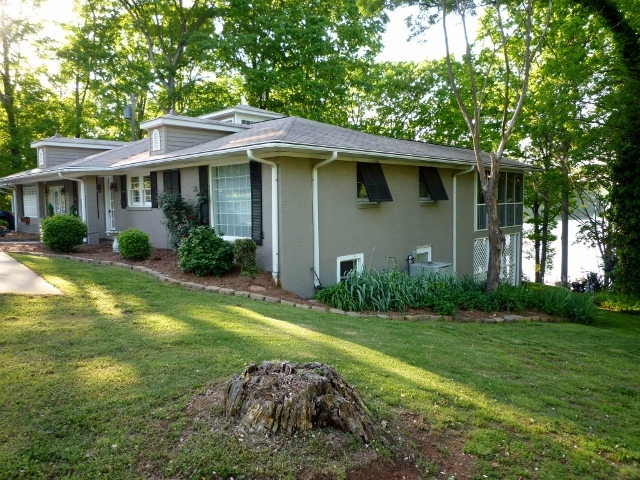 The Market Is Heating Up For Lake Hartwell But The Prices Are Still Aggressive Enough To Find Some Great Deals For Your Summer Getaways Or Full Time Homes! Check Out This Incredible Home On Year Round Deep Water! www.206InlandDr.Is-4u.com 3/3 with bonus/4th Bed/Office Incredible Water Views, No Detail Missed, Finished Basement With Living, Beds And Bath, Double Decker Double Slip Dock In Place!